MXYS Audio is the most recognised audio media company in its league. We are an Award Winning audio production company specialising in sound for Film, TV, Radio, New Media and Games. MXYS Audio specialises in post production audio for all types of film, television and corporate productions as well as producing radio commercials, voice recording for animation and podcast production. Our innovative and creative solutions for corporates like call-on-hold, IVR Messages, corporate audio tours and sonic branding has set a new benchmark in corporate marketing. We are dedicated to providing high quality, cost effective audio services and facilities with a flexible and fast turnaround on your project. All our clients are important to us so we don't rush. We take time to understand our clients' markets and fully understand the nature of each brief and target audience. Our team has years of experience in this industry and we have a clear and strong understanding of all sectors. Every project is bespoke and precisely produced to play to the strengths of the client and convey every message successfully. The company was set up in 2006 by composer/producer, Prashant Pillai, since then it has firmly established its reputation for creative and technical excellence, reliability, efficiency and an exceptional rigour in understanding the needs of its clients.Our firm M/s. 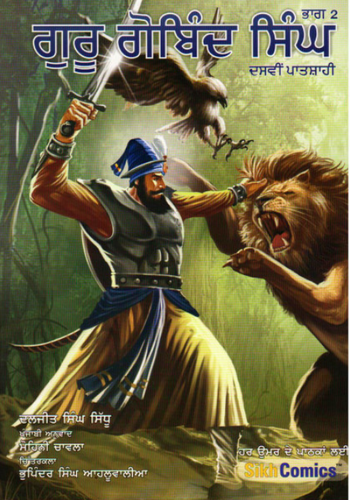 B. Chattar Singh Jiwan Singh is an oldest firm, who has been publishing books on Sikh religion. This firm was established in 1875 A.D. for the propogation of the Sikh religion. Keeping this aim in view we started composing the hand written Guru Granth Sahib Ji to manifest in Gurdwaras. We appointed some scribes of good hands to write the Gurbani and Sri Guru Granth Sahibs. We also made elaborate arrangements for the decent bindings of the holy Granth.